Situated in the stunning gardens of the Condado de Alhama Golf Resort, this modern two bedroom south-facing top-floor apartment is spread over two floors and features a large private roof terrace with fantastic panoramic views. The apartment features contemporary furnishings, and is well appointed for comfort and relaxation, including air conditioning, a fully featured kitchen with oven, hob, microwave, fridge-freezer, dishwasher, washing machine, toaster, kettle and coffee machine. A large 32 inch television with hundreds of UK and European channels, free WiFi internet access, Bose music docking station, DVD player, and Sony Playstation 2 games console are all provided. The master bedroom is appointed with a large king size bed, while the second bedroom has two single beds, all with crisp white linen. 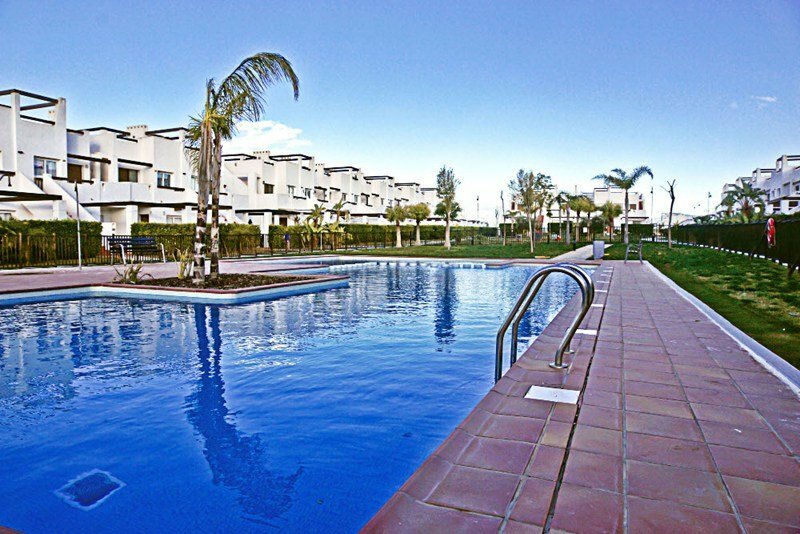 The apartment benefits from all of the Condado de Alhama Golf Resort's on site amenities, including a Jack Nicklaus Signature golf course, swimming pools, tennis and squash courts, gym facilities, cycle hire, children's play areas and equipment, restaurants, bar, cafe and supermarket. The apartment also benefits from the resort's peaceful rural location between the foothills of the Sierra Espuna mountains and the beaches of Mazarron, with excellent motorway access to key routes in the Murcia region and beyond.